Fans of all ages are invited to take part in our Star Wars® Reads event. The national event held at libraries, bookstores, and conventions celebrates Star Wars® and reading … and crafts! Come and create many things from the Star Wars® universe from a simple piece of paper, enhanced with special pre-printed images for fans to reproduce at home. Join us and you could walk away with some pretty cool merchandise. Check out this stuff, most for sale, but a few choice items will be up for grabs during the day. Download the full-color Star Wars activities sheets at the bottom of this page. 34 pages of recipes, crafts, coloring pages, trivia, and games! Check them out on facebook and Twitter (#StarWarsReads). Aaron Allston reads from Star Wars: Fate of the Jedi: Outcast. AARON ALLSTON signs Outcast (Star Wars: Fate of the Jedi). Aaron Dale Allston (December 8, 1960 – February 27, 2014) was an American game designer and author of many science fiction books, notably Star Wars novels. His works as a game designer include game supplements for role-playing games, several of which served to establish the basis for products and subsequent development of TSR's Dungeons & Dragons game setting Mystara. 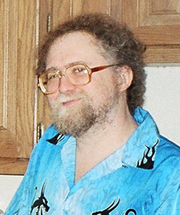 Aaron Allston is currently considered a "single author." If one or more works are by a distinct, homonymous authors, go ahead and split the author. Aaron Allston is composed of 6 names. You can examine and separate out names.